Uniquely combines know-how of the emerging markets and the key industry players with international investment banking expertise having executed some of the landmark cross border M&A deals in the country. Actively managed, multi-sector equity funds that are well-diversified and based on a thematic approach in addition to bespoke asset management services that satisfy a broad mix of investor requirements. Griffon Capital is a frontier market-focused group providing Asset Management (Capital Markets & Private Equity) and Investment Banking Advisory services to elite customers. The company’s primary objective is to provide local and international institutional investors with the proper mechanisms for seamless investment in frontier markets. We aim to maximize opportunities for profits through purpose-built investment products and vehicles that span across traditional and alternative assets. © 2018 Griffon Capital. All rights reserved. Please read this disclaimer carefully as access to this website and information contained herein is on the basis that you agree, understand and acknowledge that to all following terms and conditions. (7) persons acting for the benefit of all the above-mentioned persons (unless and until such investments are authorised by the relevant US authorities). Under U.S. Sanctions laws administered by the U.S. Office of Foreign Assets Control, all persons falling into above-mentioned categories are prohibited from engaging, or facilitating the engagement by others, in any commercial or financial relationship with Iran, including persons and entities in Iran. If you believe that you may fall into any of these categories, you are strictly prohibited from accessing these website pages, or may be otherwise in violation of U.S. economic sanctions. None of the information contained in this website constitute an offer, or solicitation, or an invitation to purchase or sell, any security or collective investment scheme unit or any financial instruments, nor any investment advice or services. These materials are provided for information purpose only. None of the information contained on the pages that follow nor any copy thereof may be taken or transmitted in or into, or distributed, or forwarded, or whether directly or indirectly, in or into, the United States, any restricting jurisdiction or any other jurisdiction as described above. This disclaimer does not constitute legal advice. It is the responsibility of the viewer of this website to satisfy itself as to its compliance with the legislation of any relevant jurisdiction or territory, including in particular regarding international sanctions and restrictive measures, and to assess the risk of the imposition of additional sanctions (including under the JCPOA ‘snapback’ mechanism) that might affect any investment in the [Fund] or its valuation or liquidity. The viewer must make its own independent assessment and such investigations as it deems necessary; such as consulting business, legal and sanctions advisors. Only these business, legal and sanctions advisors will be able appropriately to take into account the circumstances of the viewer of this website and advise on the legal implications of the product or service in question. It is the responsibility of the viewer to satisfy themselves that any business activities will not expose them to liability under the laws of any state to which they are subject. 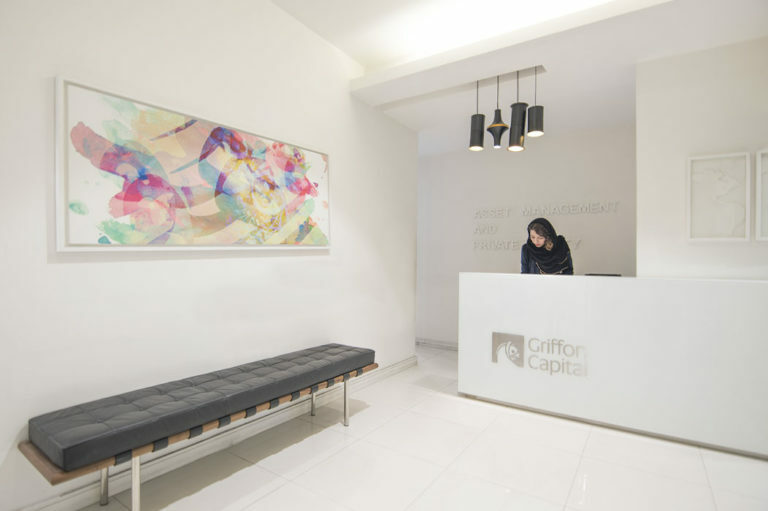 Griffon Capital accepts no liability in respect of any breach of applicable Sanctions arising as a consequence of acting against this disclaimer. The following pages of this website are informational materials only and are not intended to be used, nor may they be used, to engage in, or facilitate the engagement by others in, transactions that are prohibited under the laws of the United States or other restricting jurisdictions. To visit the following pages of the website, you must confirm that you have understood the above sentences and totally agree to comply with the restrictions and that you will not forward or distribute the information contained in this website to any restricted person. By clicking on the “Agree” in the box below, you will be deemed to have made this confirmation. I have read and understood the disclaimer set out above. I understand that it may affect my rights and I agree to be bound by its terms.